Influencer marketing gives brands a new way to drive awareness, consideration and sales. In a study conducted in May 2015 found that 81% of the companies interviewed — who had already adopted an influencer marketing program– believed the engagement with social media influencers effective. A great statistic, but why? Influencer marketing makes a difference in the digital world, because it helps companies to stand out from the noise. Better yet, it helps them to cut through it. Thousands of brands are attempting to make their name a household word. As the number of people online continues to grow and expand, businesses are forced to search out new ways of showing their value – beyond the disruptive advertising and public relations they’ve traditionally done. Social media influencers have significant social followings online – making them a trustworthy source for the people within certain niches and markets. Making use of that trust as a way of convincing consumers to like your company and products is one purpose behind influencer engagement. Results can also include increased visibility, improved social following, and often a significant increase in search rankings. And who doesn’t like a bump in SEO? We wrote about this recently. Though it may sound simple, influencer marketing has a number of complexities that companies need to address. There are over a billion active Facebook users online, more than half a million twitter users, and hundreds of thousands of people strewn across other social media platforms. With those numbers in mind, it’s easy to see why finding influencers can be like searching for a needle in a haystack. The good news is there are a number of effective tools out there that help you to identify and reach out to influencers within your industry. It might require some creativity and some round about searching — but it can be done. Today, we’ll address just some of the more helpful tools out there – and what they may be able to do for your influencer marketing identification effort and strategy. 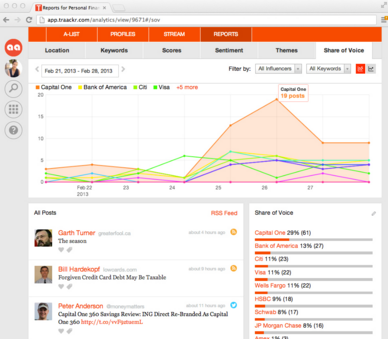 GroupHigh is a tool that can use to identify social media influencers that consumers are listening to. It is a “must have tool” and is really helpful in finding influencers, especially if you are in a small niche. They claim to have a database of over 15 million influencers for you to search through. This includes overviews of their content, reach metrics and contact information. You have the ability to pull lists of content creators by niche topic expertise. Once you pull that list you can sort them by social presence and reach. Because every brand or company is different, you may have a unique manner of “qualifying influence.” The good news is that GroupHigh has built a software that powers this personalized vetting process. The process means you can pull over 40 metrics for social media influencers and choose which filters to run them through to vet for your particular needs. You can vet them for reach, social properties, content topics, traffic, page rank, last activity as well as SEO. And those are just a few of the metrics. It is a robust tool. They offer a free trial and and two minute demo on their site. 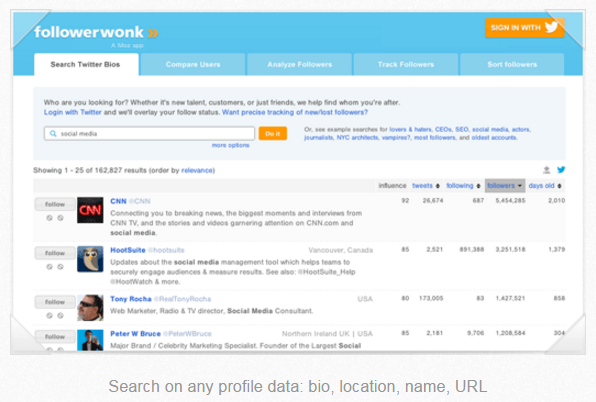 A tool developed by “Moz” – one of the most popular digital marketing resources online, Followerwonk makes use of a feature called “Search Twitter Bios” – which allows users to type in key words to reveal a list of twitter uses with these phrases within their bio. The list you receive will be ranked by the social authority of the members and their number of followers – and will even provide a number of interesting stats about that person. FollowerWonk tells you how old the account is, to the number of people the influencer is following. It also shows the amount of tweets they’ve published — and from that content you’ll be able to learn what content that influencer focuses on and is moved by. Because a picture is worth a thousand words, FollowerWonk also shows you the majority of the data you’ll have access to in visual formats so that it’s easier to understand. Using twitter analytics, you can discover who your followers are, where and when they tweet, and which keywords they use most often. Introduced originally in 2011 as a dedicated tool for social media influencers, Klout has emerged out of obscurity and become one of the most popular options for an all-in-one social score provider. Particularly useful for companies who want to find influencers through the process of a single search, Klout allows you to type a keyword into a search bar and generate a list of top influencers within moments. But I caution you to not put too much into this! 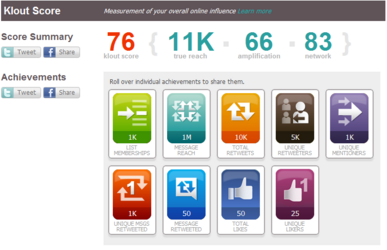 There is much more to influence than a simple Klout score. With that said, it can help you do a quick sift through potential influencers to identify some promising prospects. Picking the right terms to search for can require some trial and error, however you should quickly get the hang of it. The number that is provided beside each profile image will be that person’s “Klout score” – a number that determines just how “influential” that person may be (according Klout). What’s more, Klout offers solutions for agencies and brands too – meaning you can run a complete campaign from their platform. So, it is useful, but don’t read too much into their score. Similar to your standard search engine, Alltop is a platform that allows you to search for “what’s happening” in an industry or place. 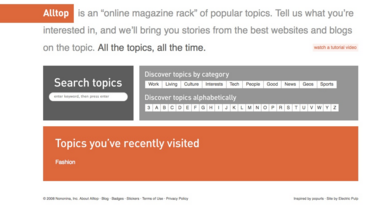 You can choose to search for a single keyword, or browse through the hot topics that are currently trending. Keep in mind that Alltop generally produces a range of blog results in differing qualities – so you will have to put some effort into finding the best ones. If a blog in the list is “industry recognized”, and has a good social following, then you will be able to track down the details of the writers that are involved, and reach out to them. 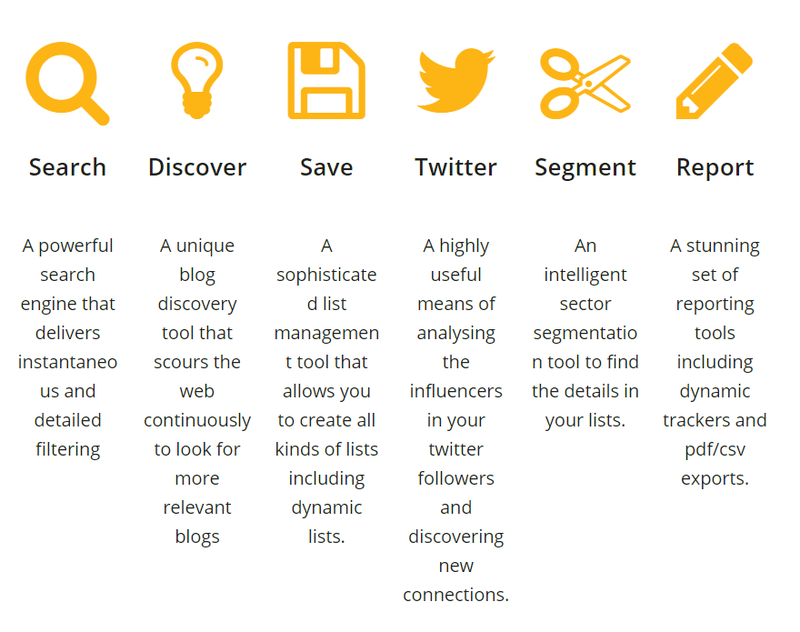 You’ll need to look into them more closely, but this tool can help you identify influencers. A simple, yet handy tool for ranking potential influencers based on their social interactions, PeerReach works by allowing you to track down the most influential people within a specific topic or industry – and get involved with their conversations. Not only can you use this tool to find influencers who may be beneficial for your brand, but you can also utilize it in tracking your own level of influence within a particular area of the market. One of the coolest features provided by PeerReach is the “top 100” lists, which offer a rundown of some of the most commendable influencers in certain industries. What’s more, these lists allow you to home in on certain regions of the world, for more geographical relevancy. 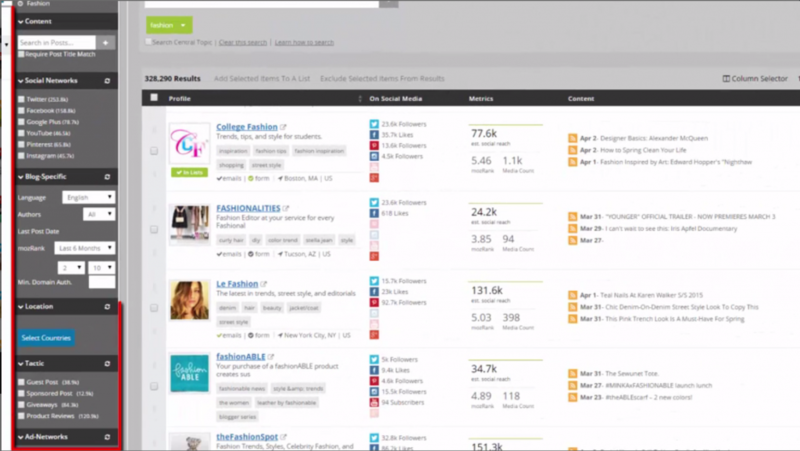 ClearVoice is an exciting and constantly evolving influencer identification tool. 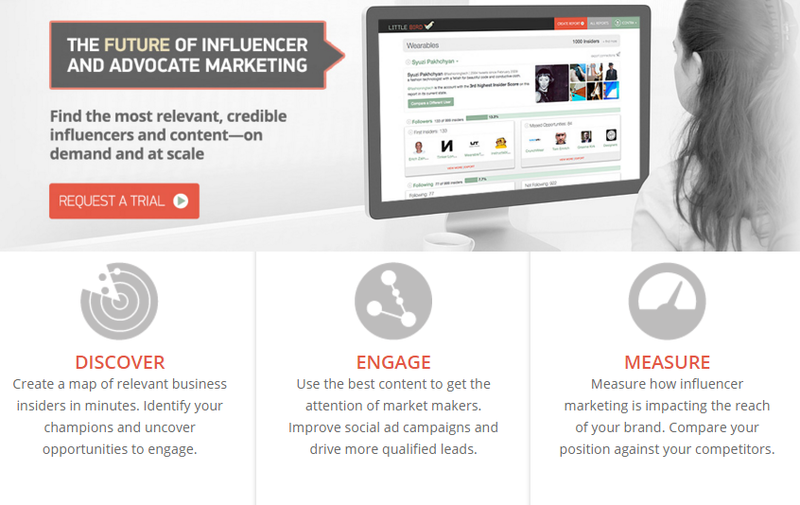 It is capable of providing a host of information to businesses in search of influencer impact. There are a number of ways you can utilize this service, from identifying influential authors on a single website through a domain search, or searching according to topic. Like many other influencer tools, the ClearVoice system has its own unique scoring system which you can use to determine the value of a certain influencer. It’s also possible to read up on useful author statistics such as number of shares, likes, comments, published posts, and sites the influencer contributed to. 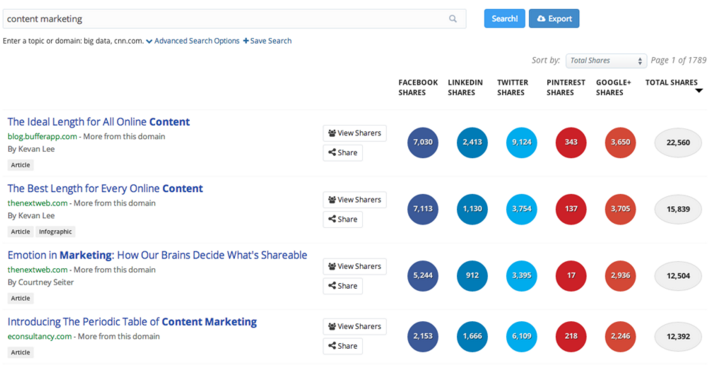 BuzzSumo gives you the opportunity to track down social media influencers for a particular topic. You can search for influential social media profiles based on the results of a single keyword or phrase. BuzzSumo also works by breaking down the influence a particular author has – showing number of followers, domain authority, and the regularity with which their posts are retweeted. 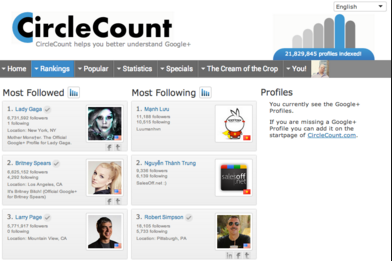 It also displays which social platforms their content gets shared the most. You’ll be able to see at a glance which social platforms your influencer likes to interact with: some like Twitter over Facebook and still others prefer Pinterest or Google Plus. The numbers provided should help you to choose influencers who hold influence within certain social platforms and beyond. A “premium”, or enterprise-level influencer tool for research, Traackr makes it easier for companies to prioritize and maximize their outreach efforts. One of the greatest things about this tool is that it offers you complete profiles for each of the social media influencers you look into – including any helpful contact information, and the details of their blogs and networks. Each influencer will be scored on their resonance, relevance (to your industry), and reach, making Traackr a particularly useful tool for influencer identification but it is really more geared toward tracking content as it is published and shared. Another tool for marketers hoping to make their lives easier, Little Bird breaks influencer lists down according to topic, while providing heaps of other information at the same time. As you’re building up a list in their platform, you should be able to see information including the “impact perception” of the influencer. It’s also possible to run reports to see who you’re already engaging with, and who you’re connected to. After all, an influencer that’s already a fan of your work will be more inclined to take part in your campaign. A blogger outreach program designed to cover the entire extent of your influencer campaign, Inkybee can help you with just about every aspect of your marketing program, however their research features are particularly impressive. 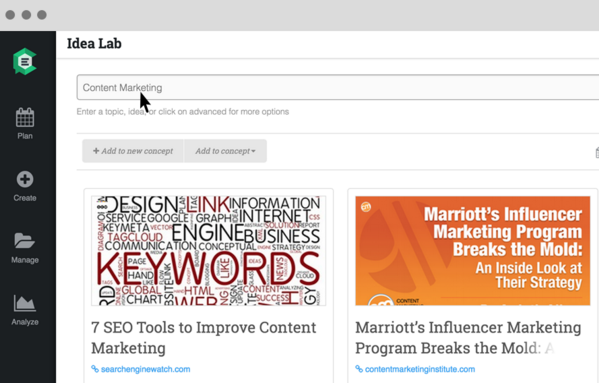 With built-in discovery features, Inkybee can suggest a relevant blogger or influencer for your topic or market niche that you may not have thought of reaching out to before. What’s more, besides using Inkybee to build your influencer lists, you can also use this tool to segment and filter them for certain campaigns. 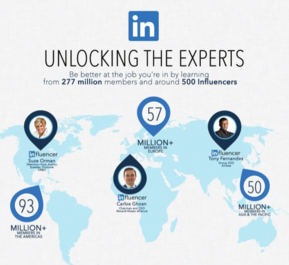 Launched not long ago the LinkedIn Influencer program allows thought leaders to share their original content directly with other LinkedIn users. In turn, users, can follow influencers they want to interact with and read their content, while sharing it in their own networks. It’s possible to browse through influencers according to channels or topics – from accounting and customer service, to the economy, green business, online advertising, healthcare, technology, and retail. It offers quite a bit. -And the most interesting profiles of the day. You can search through different lists using a location or name, and find out more information about someone who may prove useful to your campaign. A quick glance at a user’s profile will also give you a profile ranking number, information about their number of followers, and the average activity for their last fifty posts. 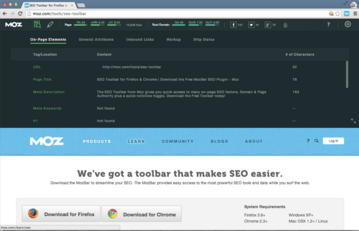 A plugin for your chrome browser, MozBar makes it easier than ever to track the SEO statistics of websites as you’re moving through the online network. With the full bar displayed – you’ll see everything from backlink info to keyword difficulty score for the page you’re on. When searching for influencers that should be able to help understand your own site’s SEO by seeing its page authority and domain authority. What’s more, the Google algorithms are also smart enough that they offer a reliable signal of general influence. It can be easy to get a host of twitter followers – but not so simple to build up strong offsite SEO. Though it may be designed more specifically as a “sales tool”, YesWare can also be a particularly useful for outreach efforts. … the tracking feature for emails is particularly helpful, as it allows you to see who is opening your emails, downloading attachments, and more. You can also set up automatic emails to remind influencers of your presence at a later date, or ensure that you keep in touch with people who have shown interest in becoming a part of your campaign. 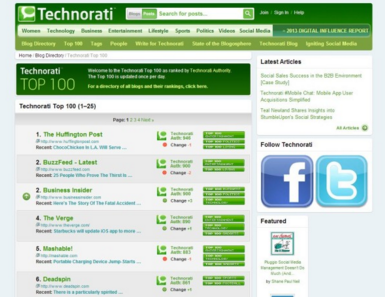 Finally, if your goals for online marketing focus specifically on getting more exposure through popular blogs and article posts, then Technorati can help you see where this is happening. This authority tool measures the influence of a website in the blogosphere based on categorization, linking behavior, and various other data factors. You can choose to browse through blogs within certain categories – such as lifestyle, business, entertainment, politics, social media, and sports, or check out the top 100 blogs option according to what’s best for your particular business. In this way can identify influencers in specific topic areas. By now you should be well aware of the benefits that influencers can have on your digital marketing efforts. The right mix of influencers can help your brand to reach your target audience and customers. Through these third parties, you get the validation you need without busting your budget (like traditional disruptive advertising will). The tools mentioned in this post will help you narrow down the social media arena into a manageable list of influencers that are most relevant to your needs and industry. However, keep in mind that it’s up to you to build a relationship with these influencers through conversation, support, and engagement! Before you start building up your influencer network, make sure that you take the time to think about your goals … what you are ultimately looking to achieve. What influencers will help you reach your target audience? And don’t be afraid to mix and match online marketing tools in an effort to maximize your results. Sometimes finding the right influencers takes some effort and creativity. Just stick with it and you will find them. Let me know if you have any questions or if you think we left some tools out.